Combine beauty with practicality by calling an expert tradesman for your wood floor sanding in Fulham. Increase the rental value of let properties and the resale value of any premises through floorboards restoration. The benefits don't stop with your purse, a well maintained floor will be easier to keep clean and contribute to a dust free and healthy environment. The natural warmth of beautifully cared for wood enhances any room, introducing an instant air of quality so book this service for your softwood, parquet or hardwood flooring and make the most of your wooden floors. Repair and Restoration: Where there are loose floorboards we'll secure them, and we'll check joists to ensure they're strong and solid. If repairs or replacement are needed we'll do this before starting the sanding process. Rusty nails or tacks are removed, and protruding ones hammered flat. Gap Filling: This is often necessary in older boards where there has been a degree of shrinkage. Small gaps are filled with a sawdust and resin mix, while larger gaps are filled with slices of reclaimed timber of a similar age, colour and quality to your original boards. Floor Sanding: Once the important preparations are done, the main sanding process starts. We'll work from coarse to fine grain sanding to lift old varnish and proceed to a fine smooth finish. Floor Staining: Choose the colour for your final finish to fit your planned décor and the style of your property. Finishing and Floor Sealing: We'll use modern lacquer or traditional beeswax or oil. This final stage ensures that your restored flooring will give you years of beautiful service. Scratches: Dust and grit are your floor's biggest enemies - trap them at the doorstep with good quality doormats and use a specialist dust mop to capture grime before it impregnates the surface. Sunlight: Can cause fading of wood stains. Invest in blinds or curtains and close them in the day to prevent direct sunlight from damaging your floor. Hard Cleaners: Oil based soaps will build up on your floor, marring the finish. 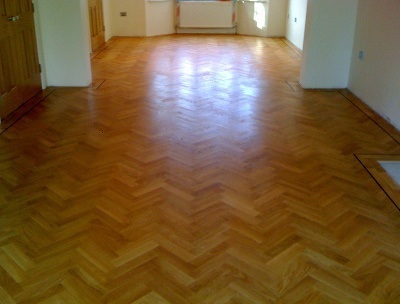 Clean wood floors with a specialist pH balanced detergents. Your contact options are the same whether you're a private owner, the owner of a commercial property, or a landlord seeking to renovate a rental property. Book your onsite inspection 24/7 by calling 020 3404 4979. 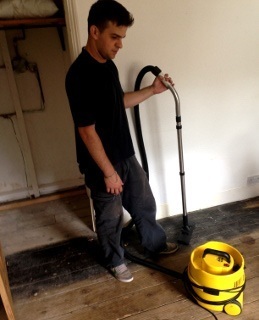 The floor sanding technicians work seven days a week, so arrange your no-obligation quote for the day that suits you. When it's easier for you to work online, take advantage of our live chat service. Alternatively, set up a call from us by leaving your details on our contact form, and we'll be in touch. Floor Masters Ltd - Flooring company located in Hammersmith and Fulham spcialized in wood floors, carpet and vinyl. Turgon Flooring Ltd - Bespoke hand finished wood flooring in the area of Hammersmith and Fulham.